Yammer not only develops new features, but is continuously looking for ways to improving existing ones. Like many software companies, Yammer frequently tests these features before releasing them to all of thier customers. These A/B tests help analysts and product managers better understand a feature’s effect on user behavior and the overall user experience. This case focuses on an improvement to Yammer’s core “publisher”—the module at the top of a Yammer feed where users type their messages. To test this feature, the product team ran an A/B test from June 1 through June 30. 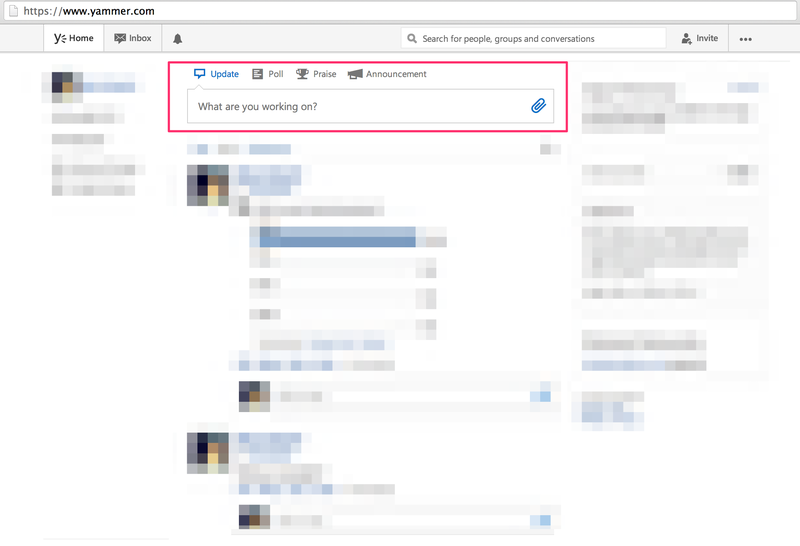 During this period, some users who logged into Yammer were shown the old version of the publisher (the “control group”), while other other users were shown the new version (the “treatment group”). users: The total number of users shown that version of the publisher. total_treated_users: The number of users who were treated in either group. treatment_percent: The number of users in that group as a percentage of the total number of treated users. total: The total number of messages posted by that treatment group. average: The average number of messages per user in that treatment group (total/users). rate_difference: The difference in posting rates between treatment groups (group average - control group average). rate_lift: The percent difference in posting rates between treatment groups ((group average / control group average) - 1). stdev: The standard deviation of messages posted per user for users in the treatment group. For example, if there were three people in the control group and they posted 1, 4, and 8 messages, this value would be the standard deviation of 1, 4, and 8 (which is 2.9). t_stat: A test statistic for calculating if average of the treatment group is statistically different from the average of the control group. It is calculated using the averages and standard deviations of the treatment and control groups. p_value: Used to determine the test’s statistical significance. The test above, which compares average posting rates between groups, uses a simple Student’s t-test for determining statistical signficance. For testing on averages, t-tests are common, though other, more advanced statistical techniques are sometimes used. Furthermore, the test above uses a two-tailed test because the treatment group could perform either better or worse than the control group. (Some argue that one-tailed tests are better, however.) You can read more about the differences between one- and two-tailed t-tests here. Once you’re comfortable with A/B testing, your job is to determine whether this feature is the real deal or too good to be true. The product team is looking to you for advice about this test, and you should try to provide as much information about what happened as you can. Before doing anything with the data, develop some hypotheses about why the result might look the way it does, as well as methods for testing those hypotheses. As a point of reference, such dramatic changes in user behavior—like the 50% increase in posting—are extremely uncommon. For this problem, you will need to use four tables. The tables names and column definitions are listed below—click a table name to view information about that table. Note: This data is fake and was generated for the purpose of this case study. It is similar in structure to Yammer’s actual data, but for privacy and security reasons, it is not real. This table shows which groups users are sorted into for experiments. There should be one row per user, per experiment (a user should not be in both the test and control groups in a given experiment). user_id: The ID of the user logging the event. Can be joined to user_id in either of the other tables. occurred_at: The time the user was treated in that particular group. experiment: The name of the experiment. This indicates what actually changed in the product during the experiment. experiment_group: The group into which the user was sorted. "test_group" is the new version of the feature; "control_group" is the old version. location: The country in which the user was located when sorted into a group (collected through IP address). This table is purely a lookup table, similar to what you might find in the back of a statistics textbook. It is equivalent to using the leftmost column in this table, though it omits negative Z-Scores. score: Z-score. Note that this table only contains values >= 0, so you will need to join the absolute value of the Z-score against it. value: The area on a normal distribution below the Z-Score. Check to make sure that this test was run correctly. Is the query that calculates lift and p-value correct? It may be helpful to start with the code that produces the above query, which you can find by clicking the link in the footer of the chart and navigating to the “query” tab. Check other metrics to make sure that this outsized result is not isolated to this one metric. What other metrics are important? Do they show similar improvements? This will require writing additional SQL queries to test other metrics. Check that the data is correct. Are there problems with the way the test results were recorded or the way users were treated into test and control groups? If something is incorrect, determine the steps necessary to correct the problem. Make a final recommendation based on your conclusions. Should the new publisher be rolled out to everyone? Should it be re-tested? If so, what should be different? Should it be abandoned entirely?